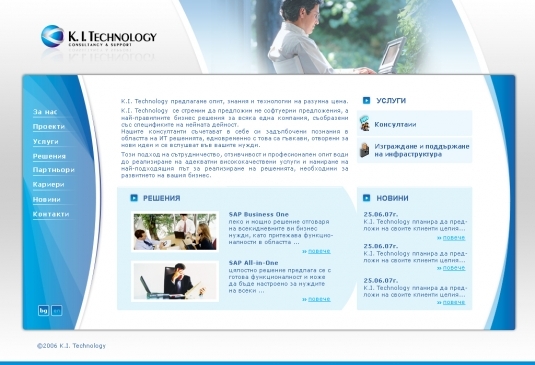 Corpus Design Studio elaborated modern web site, conformable to the company activity and corporate identity. For K.I. Technology, we worked out the design, the front-end modules and back-end system for the web site managing.